I cannot believe it however my prayers have been answered – slippers are now acceptable “outside of house” attire! Possibly not to everyone’s taste however I for one was never a fan of the ballet flat and am a wee bit excited at the prospect of shuffling around in some old man style loafers. 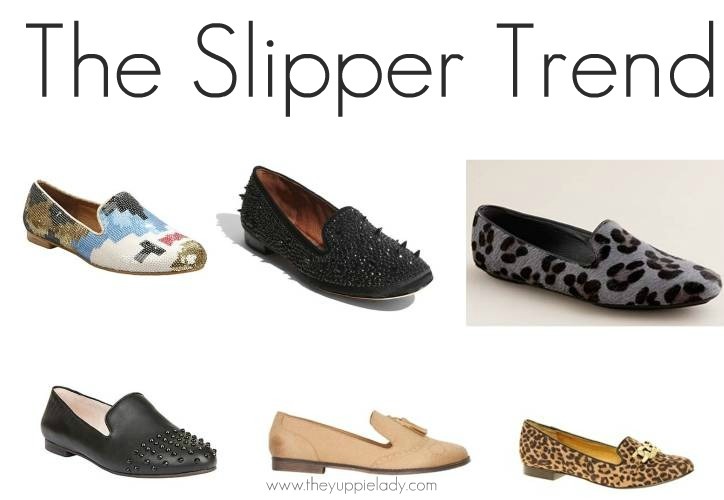 My favourite feature of the slipper shoe is the vast array of customisation. 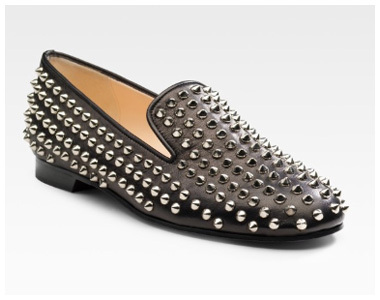 I’ve seen these shoes in velvet, animal print, glitter, knit, brights, sequin,patents and my favourite – studs! At $995, these original Louboutin’s were more than a little out of my price range however I picked up these cute imitations by Pier De Terra for a steal at only $39.95 (I still think this is a little steep of flats which we all know aren’t really classified as a shoe! *wink*). So, what do you think? Fash or Fail? I’m in a comfort enduced haze!